Clearmed Hemorrhoid Treatment claims to offer a three step process to the treatment of your hemorrhoid symptoms and it promises to do so within five to seven days. Clearmed claims to be effective on both internal and external hemorrhoids and it was created by a team of researchers to heal hemorrhoid problems, not just treat the symptoms. Strengthens veins and is anti-inflammatory. Reduces the irritation on the tissue surface so inflammation is reduced. Creates a barrier against infection. Treats various vein conditions. Reduces inflammation, improves vein elasticity, strengthens vein walls and improves vein tone. Improves blood circulation and helps cleanse the body. Encourages gentle muscle contractions throughout the digestive system. Offers pain relief. Helps with easy bowel movements. Blonde Psyllium decreases the passage time of the bowel content through an increase in the volume of the stool. Helps in strengthening the hemorrhoidal veins. A vascular-protecting agent and an anti-inflammatory. There were no reported side effects with the use of this product. It is recommended to take 2 capsules daily. The pricing for Clearmed is extravagant. Rating the most expensive of any of the other products reviewed, Clearmed costs a whopping $39.95 a bottle for a week supply of the product. For a month supply you will pay $160.00. There are other products out there with high quality ingredients and better pricing. Clearmed offers a 60 day full refund for any reason, but requires that you return any unused potion in order to collect. 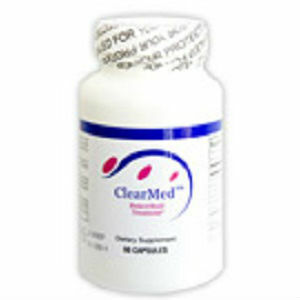 While Clearmed sells itself as an excellent product with well documented results, it is seemingly one of the most expensive products on the market, and it still takes 5-7 days to begin to treat the painful symptoms of hemorrhoids; this will result in you spending more money to get temporary relief, or you can suffer through it, waiting for Clearmed to kick in. John Parker	reviewed Clearmed Hemorrhoid Treatment Review	on October 22nd	 and gave it a rating of 3.0.